And there you have it: the origin of audio description for sighted people who happen to be looking the wrong way. Audio description has a place wherever the visual image is important to the experience of an event. I have provided description for office meetings, award ceremonies, parades, sports events, weddings and even funerals. And on cruise ships, where I once provided an audio description of the lyrics on a karaoke monitor for singer and blind woman Denise Colley. It was the first known instance of “karaoke for blind people”. Today in the United States, approximately 30 states have audio description in live theatre and in museums via live description, audio tours or trained guides. Audio description in performing arts settings is principally staffed by volunteer describers using notes gathered at one or two viewings of a performance. From the 1990s through to the present time, description on broadcast television has been available, largely due to the ongoing funding from the Department of Education. Here are a few highlights from the history of audio description in the United States. In the 1960s, Chet Avery, a blind theatre lover, now retired from the Department of Education, conceived of audio description as a formal process that could convey the visual images of theatre performances to people who are blind or have low vision. In 1980, Chet Avery and Margaret Pfanstiehl, a blind woman and founder of the radio-reading service The Washington Ear, helped Wayne White, house manager at Arena Stage in Washington DC, create an access committee to advise Arena on ways to make theatre accessible. Avery wondered aloud if the “audio caption” idea could be employed using assistive listening equipment – except with an individual voicing descriptions during the pauses between lines of dialogue and critical sound elements. From there, in 1981, the Washington Ear Audio Description programme was developed. I was already a volunteer reader at The Ear, and a professional voice talent/actor and English teacher. I became one of the first audio describers in The Ear’s programme, the world’s first ongoing audio description service. On 18 January 1988, the first national television broadcast was made available with audio description of Eugene O’Neill’s Strange Interlude as part of the Public Broadcasting Service series of American Playhouse. This became a year-long nationally broadcast test of what became the Descriptive Video Service in 1990. In the late 1980s and early 1990s, the first audio described tours of museum exhibits and National Park Service exhibits were developed. In 1986, The Metropolitan Washington Ear created the first audio described exhibit tours – recorded on audio cassettes – for the Statue of Liberty and Castle Clinton in New York State. 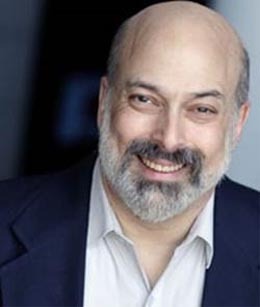 In the early 1990s, Rod Lathim, Artistic Director of Access Theater, developed the first audio description script for the company’s touring production of Storm Reading. This allowed any performance to be audio described as opposed to the usual practice of providing audio description only at selected performances. In 1997, the American Foundation for the Blind, published the seminal work Who's Watching? : A Profile of the Blind and Visually Impaired Audience for Television and Video, written by Jaclyn Packer and Corinne Kirchner. Based on a survey of blind and visually impaired people, this publication provided detailed demographic information about the experience with and interest in video description as well as viewing habits and preferences among this population. 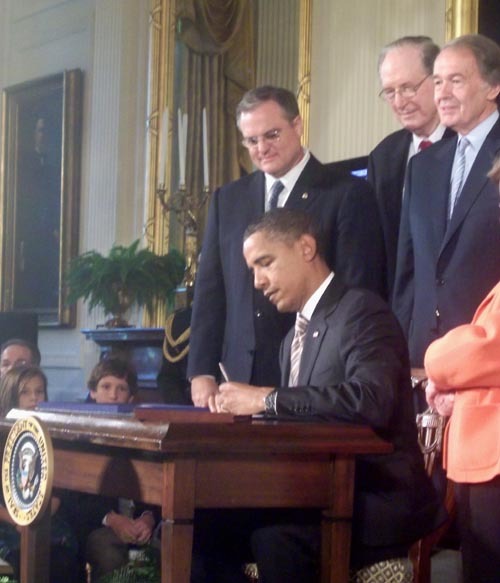 The Twenty-First Century Communications and Video Accessibility Act of 2010, was signed into law by President Obama on 8 October 2010. The bill – and its mandate for approximately four hours of description per week by the top nine broadcasters in the United States’ top 25 markets – went into effect on 1 July 2012. Joel Snyder is the Director of Audio Description Project, American Council of the Blind and President of Audio Description Associates, LLC. As an audio describer, he has made hundreds of live theatre productions, museum and gallery exhibitions and television broadcasts accessible to vision blind and vision impaired people. Original generation time 1.5537 seconds. Cache Loaded in: 0.0389 seconds.